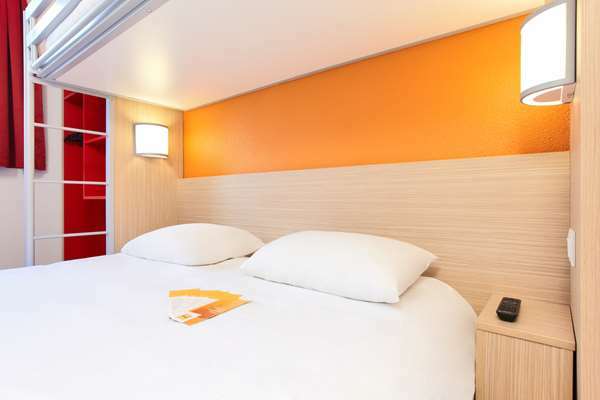 Located 23 miles north of Paris, with direct access from highway A1, our 2-star Hotel Première Classe Roissy - Saint-Witz has an ideal location facilitating your business trips in the region. 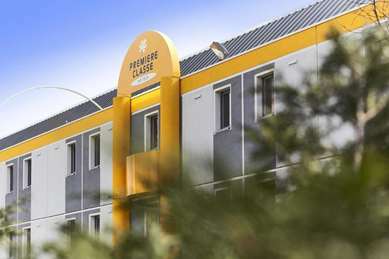 In just a few minutes, you can get from Hotel Première Classe Roissy - Saint-Witz, to the Roissy Charles de Gaulle Airport, the Villepinte Parc des Expositions and Le Bourget, as well as the business areas of Roissy, Villepinte or Cergy-Pontoise. 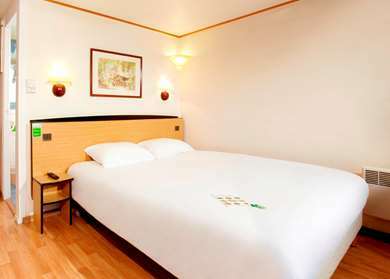 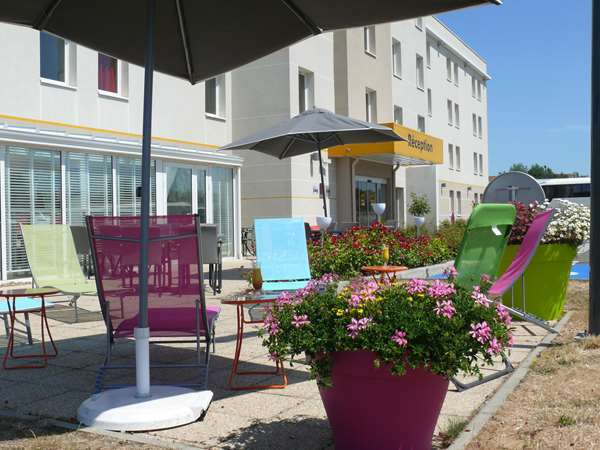 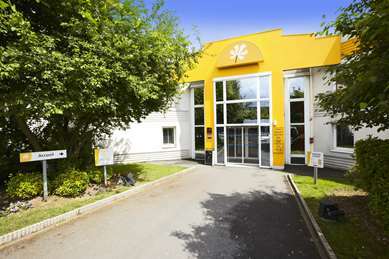 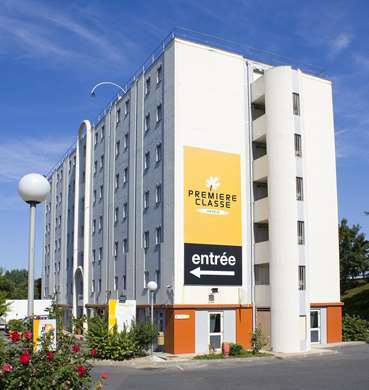 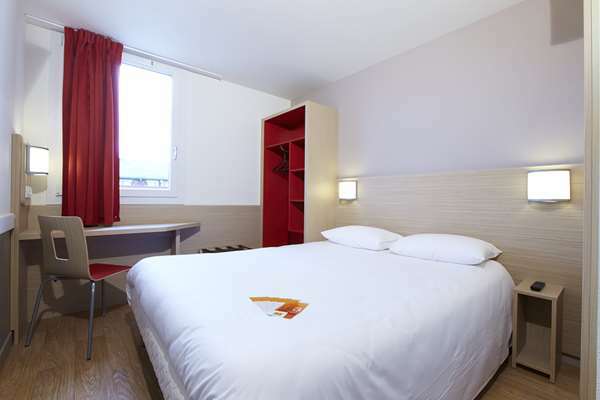 If you are here as a tourist, Hotel Première Classe Roissy - Saint-Witz is an ideal place to stop with your family in order to visit the two main amusement parks in the area: Parc Astérix and the Mer de Sable. 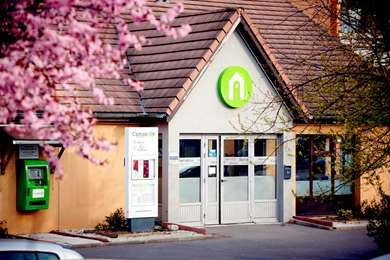 The Château de Chantilly, Château de Compiègne, Ecouen and Senlis Cathedral... Are all sites that display the charm and history of the region and are wonderful places to visit. 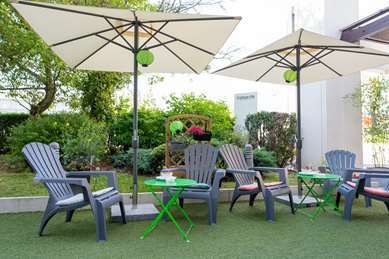 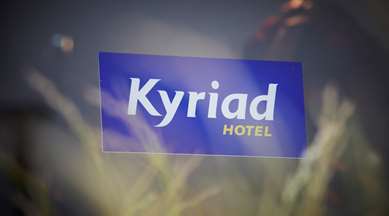 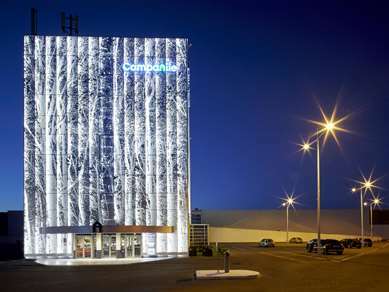 Our hotel is a signatory of the "Charter for sustainable accommodation" in Paris, our Hotel Première Classe Roissy - Saint-Witz is part of a sustainable development approach and strives to reduce our environmental footprint and contribute positively to local, economic and social development. 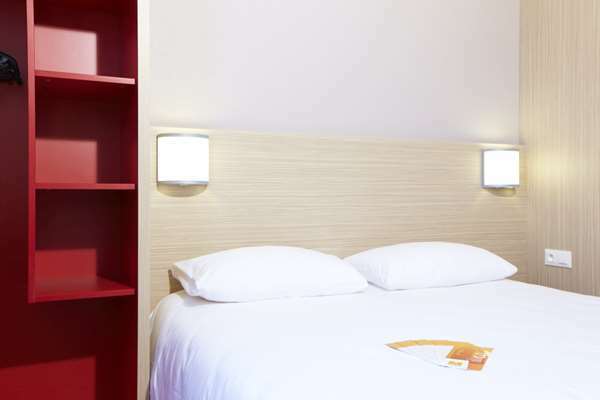 The rooms at our 2-Star Hotel Première Classe in Saint-Witz are designed to combine comfort and functionality. 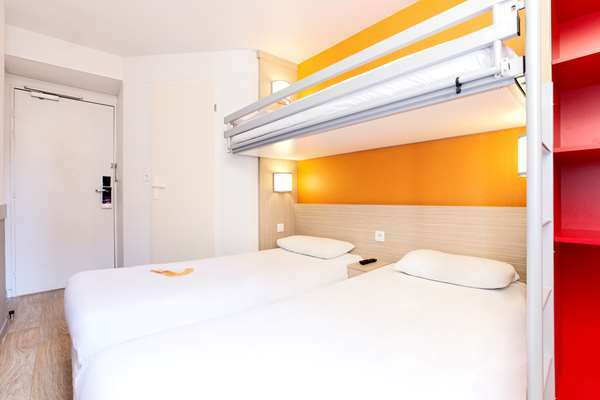 Equipped with a desk and private shower with toilet, all our rooms available for reservation are adapted to our needs: double beds, 2 single beds or beds with overhead bunk in certain rooms. 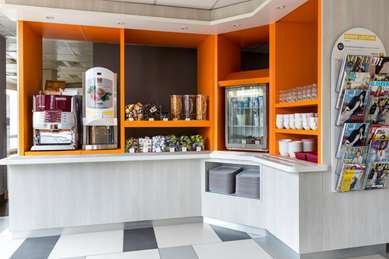 For your relaxation and entertainment, you can watch your favorite programs on TV or use the free Wi-Fi (1). 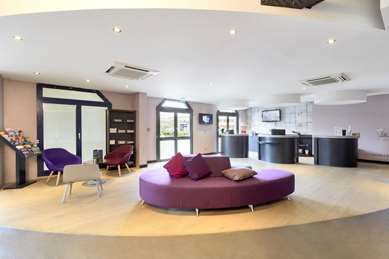 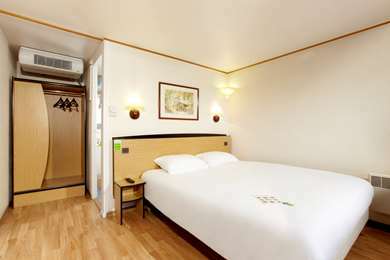 Some rooms are specially adapted for people with reduced mobility. 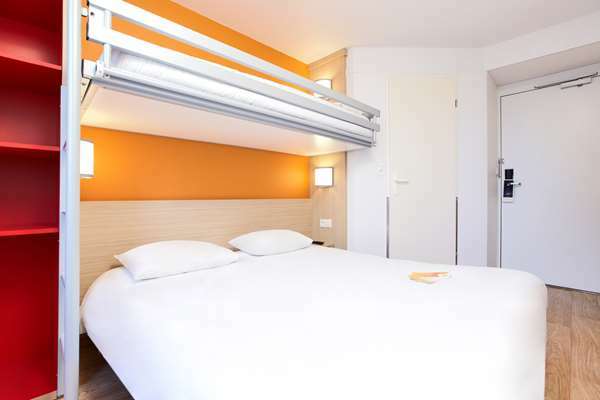 The rooms at your budget hotel in Saint-Witz offer you the best conditions for a comfortable, pleasant and efficient stay. 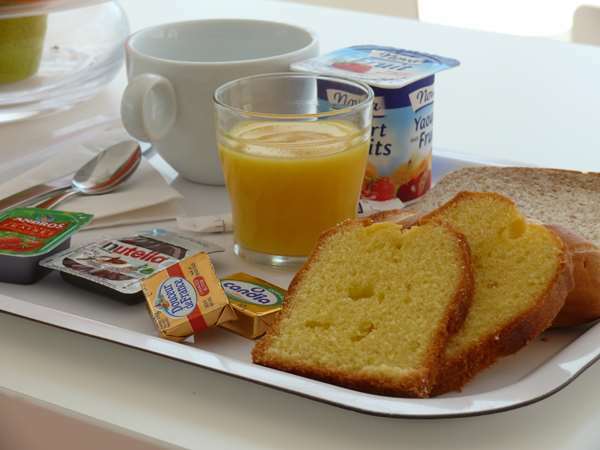 In our 2-star hotel in Saint-Witz, each morning, start the day off right in with a varied, balanced breakfast buffet containing major brand products: 100% pure Tropicana orange juice, espresso, buns, fresh baguette, Breton bar, a wide choice of hot drinks, etc. 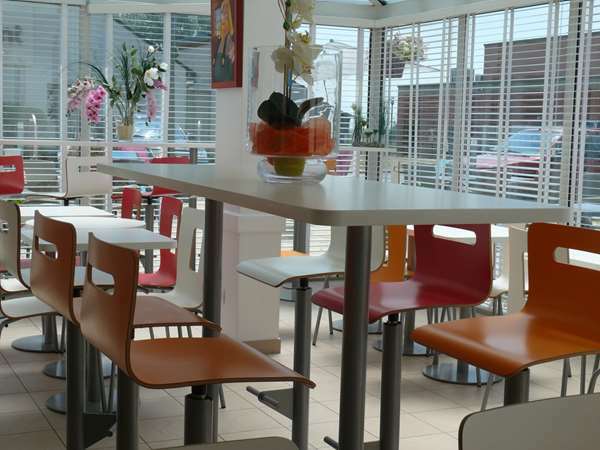 Everything you need for a good breakfast at only €4.90 per person Breakfast is half price for your children under 10. 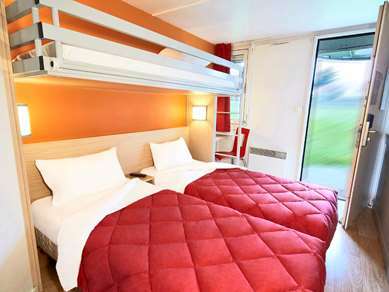 We booked a couple of rooms for a two-night stop-over and visit to Parc Asterix. 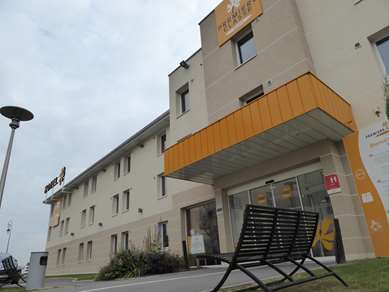 The Hotel is basic, but clean, and the staff were very helpful. 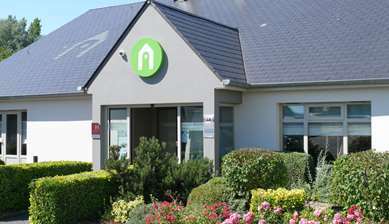 We booked a Family Room and a Double, both were perfect for our needs. 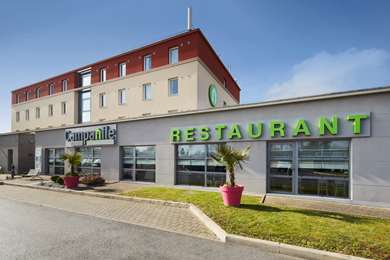 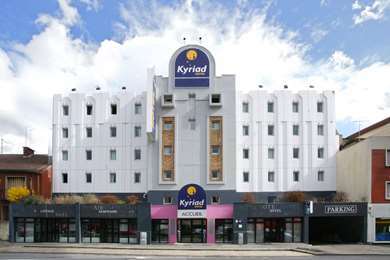 As others have said; the hotel is only 10 mins from Parc Asterx. 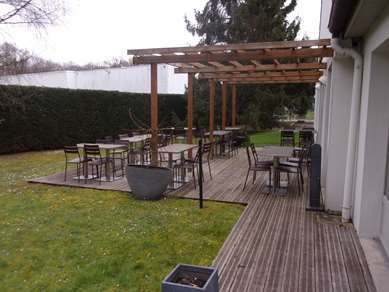 The Italian restaurant next door was very nice.